Here in Europe all eyes were on England today as we watched Kate Middleton become a real-life princess when she married Prince William in a beautiful Grace Kelly-esque gown. In Sweden we are a little ‘crown crazy’ all the time – not just for royal weddings – and we have crowns everywhere! 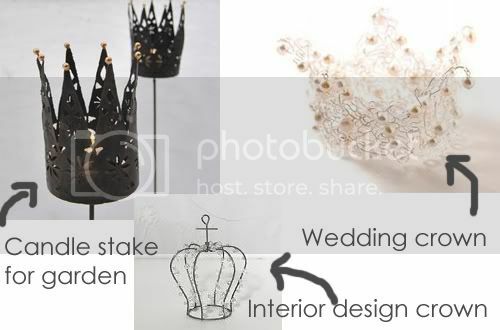 Check out my guest blog over at Home Sweet Homemade where you’ll find royal inspiration’ from Scandinavia. There’s lots more to see in my post over at Home Sweet Homemade so make sure and hop over now.